Help, Geekbuying. I killed my box by installing SuperSU, now I need the firmware to bring my box back to life.. Need it in IMG format........ thanks. Sorry friend. We have asked supplier for that.But we still don't get it from them. We will keep asking the supplier. What they have in their rom, all guys here can get in my own roms for the boxes that have L1, like mecool boxes... so i really dont get their point on this!!! crazy...!!!! the supplier refused to give the firmware now as they are afraid that someone will copy the firmware. but we will try our best to talk with them. Is what i did and the box has bricked... GeekBuying_Rep any news from them? oh ok, good to know. For me it works. Hi friend,please tell me your order ID. 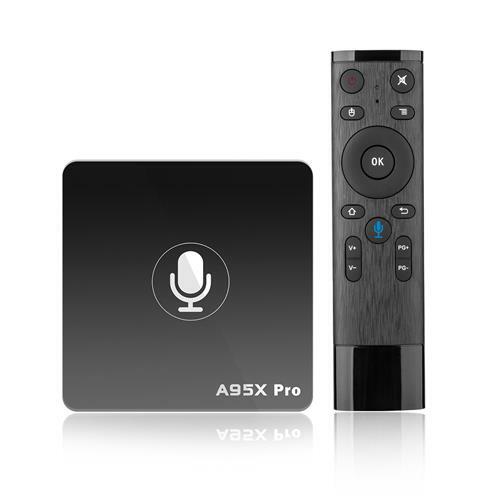 Hi Geekbuying, I receive may nexbox a95x pro today, instantly updates to last version 7,1,2. The voice remote not works, push the button, listening... but no sound. Maybe remote control broke? That Voice remote is quirky, it is not broken. After a couple of reboots and Google updates, it will start working...... Make sure you DEPRESS the voice button on the remote the whole time you are talking......... Some Voice remotes, you click the button and release it, but this remote, you can not do that. of course,we will do our best to apply for it. we will transfer your ideas to them. All times are GMT-8. This page was generated at 06:05.